Connecticut Agriculture in the Classroom, along with the Connecticut State Grange and the Connecticut State Grange Foundation, would like to invite you to be a reader for the 8th Annual Read Across Connecticut Agricultural Literacy Event. Last year, over 350 books were read to over 9,280 primary and elementary school students throughout Connecticut. 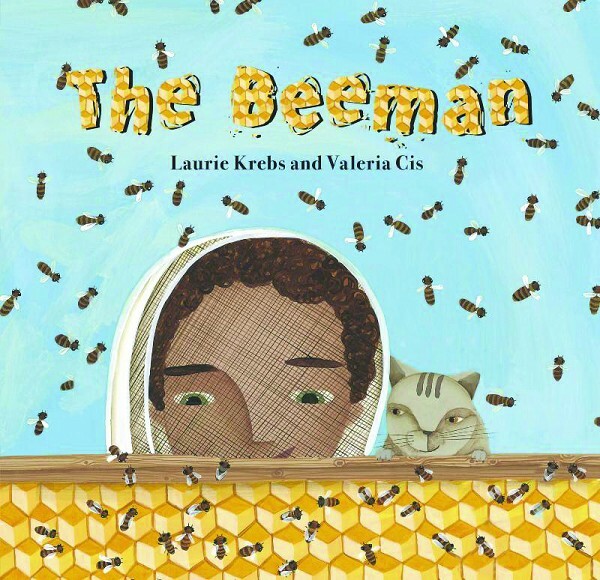 This year’s book is The Beeman, written by Laurie Krebs and illustrated by Valeria Cis. We would like you to participate in this educational event by reading The Beeman to an elementary (2nd-4th grade classroom) in your community between April and November. Your involvement would be an exciting venue to publicly support agriculture and literacy throughout Connecticut, teaching the significance of agriculture and the importance of pollinators in the food chain. Getting through the day without agriculture is impossible. Many people do not understand nore do they have an appreciation of the connection agriculture has to daily life or the vital role agriculture plays in our state’s economy. This statewide reading initiative is funded by the Connecticut Agricultural Education Foundation, Connecticut State Grange and the Connecticut State Grange Foundation. In The Beeman, Krebs tells the story from the viewpoint of a child whose Grandpa is a beekeeper. This rhyming text offers an accessible and engaging introduction to the behavior of bees, including: where they live, how honey is made, and what a beekeeper does. It is clearly written and beautifully illustrated. Krebs describes how Grandpa is known all around town as the Beeman. He is a beekeeper, wearing his zippered-up hood and his heavy cotton and leather gloves to protect himself while he tends his hives. As he teaches the basics of beekeeping to his grandson, children will learn about the lives of bees and discover the vital part they play in the food chain. Children love learning about the role of bees in the ecosystem, and will be delighted to find a delicious muffin recipe on the final page. This volunteer opportunity is a great way to introduce Connecticut’s students to the importance of pollinators in our food chain. Honeybees are good friends. They are the only insect that gives humans food to eat- honey. Their wax is made into candles, crayons, and lipstick. Bees help farmers. Did you know that one third of all the food we eat is pollinated by bees? Each school participating in this event will receive a copy of the book, an educator’s guide, sequencing cards, 20 copies of the Ag Mag Bees, and a poster, Additional recources will be available on the CTAEF website www.ctaef.org. We encourage each educator to use the materials provided and share them with other classroom teachers. For more information on this program, please contact Eleanor Provencal, Connecticut Coordinator for Ag in the Classroom via email at eleanor@ctaef.org. 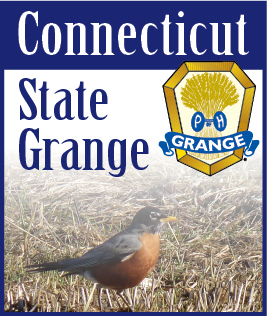 Grange members seeking information or want to sign up as a volunteer should contact Connecticut State Grange Community Service Coordinators Jeff and Debbie Barnes via email at overseer@ctstategrange.org. Thank you for considering adding the 2014 Agricultural Literacy event to your busy schedule. The Connecticut Agricultural Education Foundation is a 501(c)(3) charitable organization, raising funds to support agricultural literacy programs.